• Health, Water, Sanitation and Hygiene - W.A.S.H. English is the teaching language of all academic programs. • meet the language requirement. Scholarships cover international travel expenses (1 return ticket from/to home country), health insurance, university fees and VISA related costs. MSc students and PhD fellows will also receive a monthly allowance for living expenses. 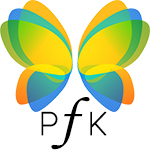 Scholarships will cover a time span of 24 months for MSc programs and of 36 months for PhD programs.The call for PfK PhD fellowship program is expected to open in the next months. Thank you for the interest shown in the PfK MSc program, we are sorry to inform you that the call is now closed. Please check this page for updates on the selection process. An independent scientific board will assess the applications according to pre-defined criteria such as CV relevance, university career, professional experience and gender equality, among others. Selected candidates will be individually contacted for the formal acceptance of the scholarship. At this stage fellows should complete their enrollment to the university by validating the documents submitted through the university website at the local Italian Embassy. Applications are now open and must be submitted no later than 20 May 2019 at 2.00 p.m. Step 1 - Explore the academic offer, choose the most suitable PhD program and submit the applications to PFK.applications@aics.gov.it. Incomplete applications will be rejected. Candidates can apply exclusively to one PhD program. Step 2 - Inform the Agency of your application by filling the AICS notification form in the selected platform page. Applications submitted to PFK.applications@aics.gov.it, which are not matched by the AICS notification form, will not be considered.